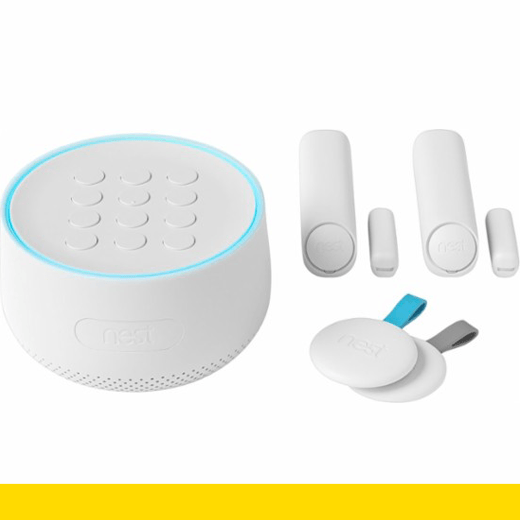 Nest Secure is a home security product designed to be tough on burglars and easy on the user. Designed from the customer’s perspective, several innovative features make Nest Secure easy to live with while meeting or exceeding current security guidelines. Nest developed advanced algorithms to reduce the frequency of false alarms (an annoyance for owners). Quiet Open allows control of individual doors without the hassle of disarming and rearming your system. And it is extremely easy to use, going so far as to automatically remind you if you leave home without arming it. Nest Secure was also designed to have a noninvasive presence in the home. Nest took an open/close sensor, added a motion sensor to it and squeezed it into a package that's a fraction of the size of standard sensors, so it won't take away from customers’ decor.